Astrophysicists have long supposed that there were a lot more so-called "active" black holes than had been detected, but were not capable to find any hint of them. In 2013, a worldwide group of astronomers unpredictably discovered hundreds of expanding "supermassive" black holes hidden deep inside galaxies billions of light years away from earth. The outcomes more than dual the total number of black holes acknowledged to happen at that distances, and propose there were hundreds of millions further rising in the initial universe. These super-massive objects are known as high-energy quasars, a kind of black hole, originate in new galaxies that are enclosed by a thick halo of gas and dust which discharge off X-rays as they are drawn into the emptiness. The X-rays, which can be spotted as a universal glow in space even after the quasars themselves cannot be observed, are what tipped off the researchers that they had stumbled across something unexpected. An artist's version is presented below. The amazing detection is the first straight indication that most, maybe all, gigantic galaxies in the distant ranges of the cosmos produced cavernous black holes in the course of their youth, when around 3.5 billion years old. Daddi and his group agreed out to study around 1,000 galaxies, about the similar mass as the Milky Way, in the procedure of forming stars, but supposed to lack quasars. At nine to 10 billion light years away, what researchers see currently occurred about 10 billion years ago, when the universe was still a new between 2.5 and 4.5 billion years old. The quasars will help to response important questions about how massive galaxies grow. Astrophysicists now recognize, for instance, that maximum of these galaxies gradually produce stars and black holes simultaneously until the last develop too big and delay star formation. Two telescopes were required to see the black holes. One is NASA's Spitzer space telescope, which detects infrared light, and the additional is the Chandra telescope, which transmits X-ray data. The image at the top of the page displays galaxyBX442, which was detected using the Hubble Space Telescope as it occurred 3 billion years after the Big Bang. It means the light from that portion of the cosmos acquired 10.7 billion years to reach here. 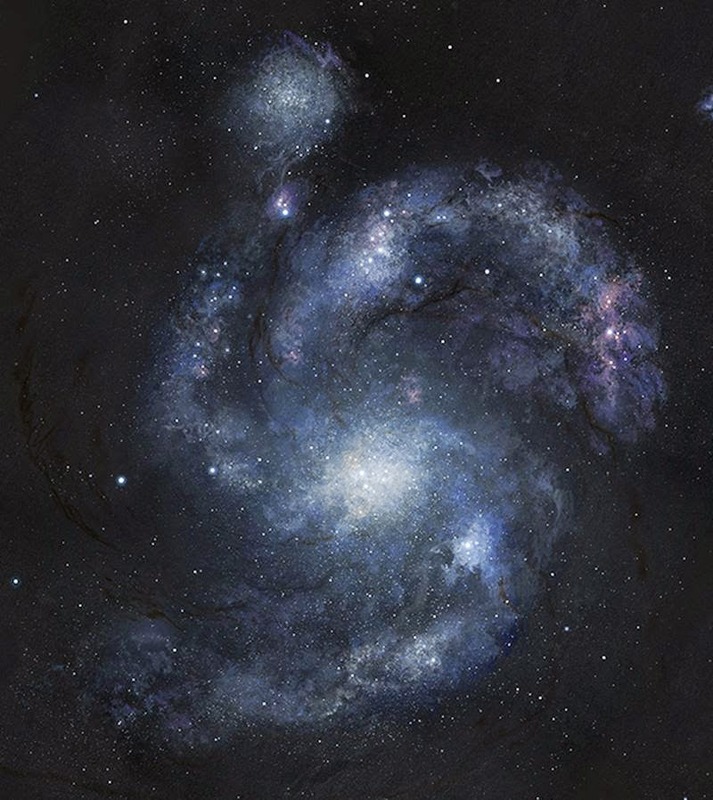 Alice Shapley, a UCLA associate professor of physics and astronomy, and co-author of the study, said in statement “As you go back in time to the early universe, galaxies look really strange, clumpy and irregular, not symmetric. The vast majority of old galaxies look like train wrecks. Our first thought was, why is this one so different, and so beautiful?"